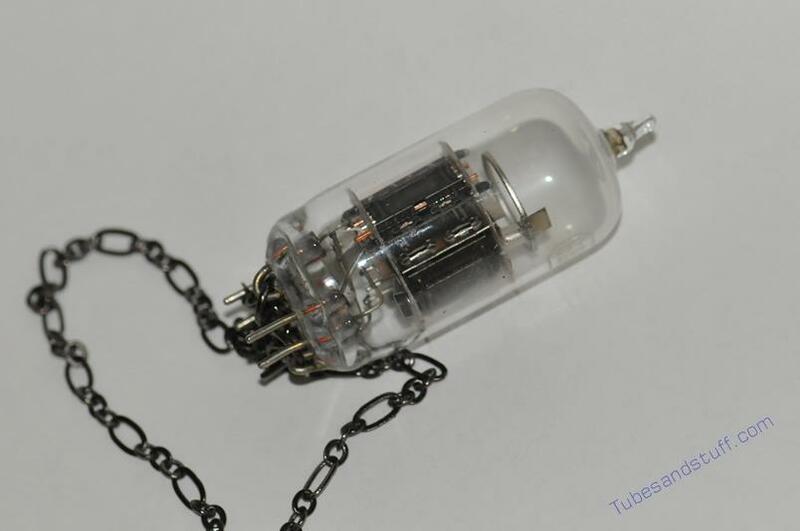 Tubes and Stuff - Vacuum tube jewelry! Enter your discount code, if you have one, then press "Submit". The discounted price will show up on the next page. 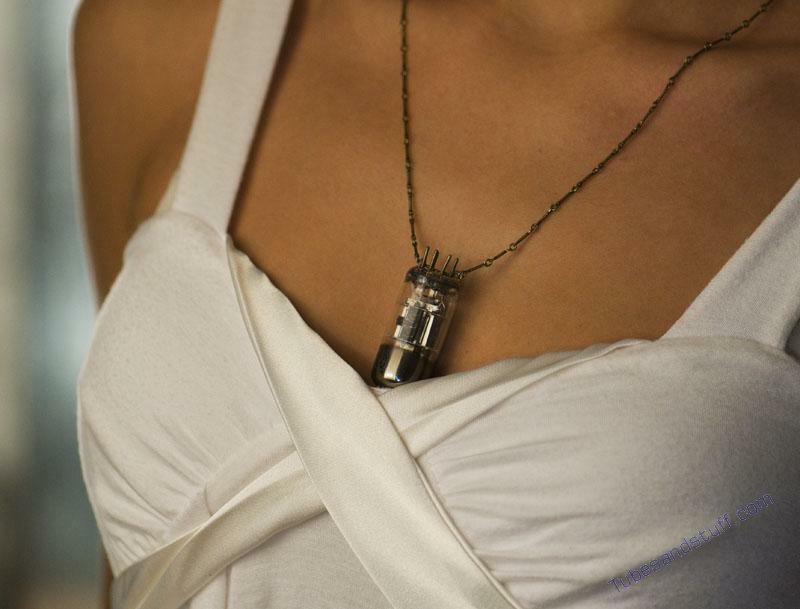 Each item is a hand-made, one-of-a-kind necklace consisting of a carefully selected tube attached to an exquisite chain along with a lobster claw clasp. 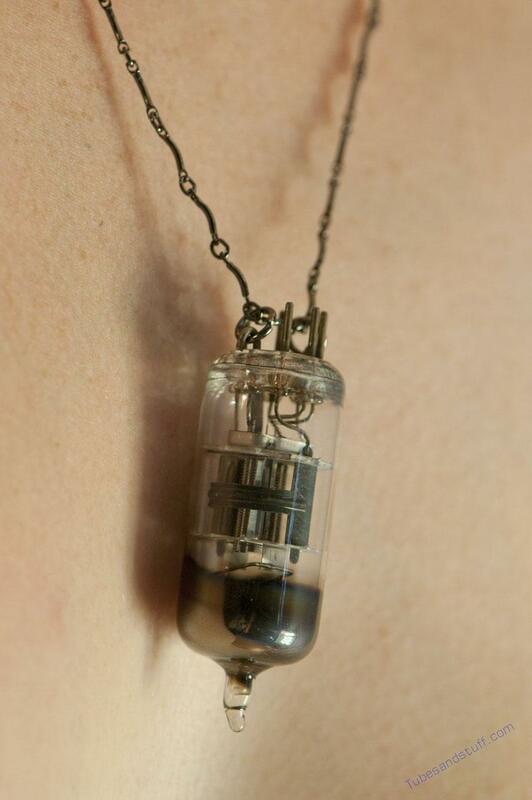 The chains are mostly antiqued brass or gunmetal in order to be consistent with the aged look of the tubes. The overall effect is an industrial or steampunk feel. A note on metals: Gunmetal is a dark grey or black nickel alloy plated onto brass. Antique silver is silver plated onto brass. 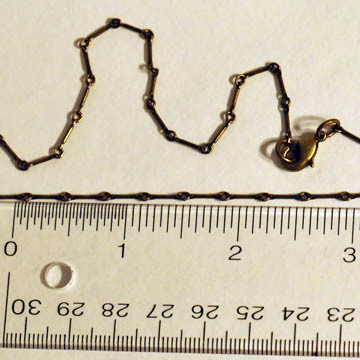 A note on attachment: Tubes are attached to the chains at either two or three points, as illustrated below. 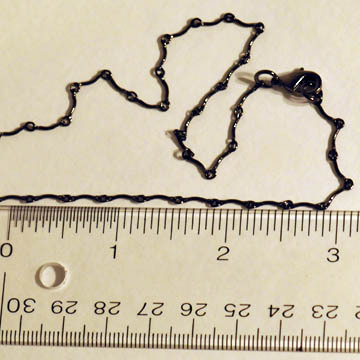 In some cases, the tube can slide along the chain (if the chain is very fine and can pass through the attaching rings), but usually it is fixed in place. 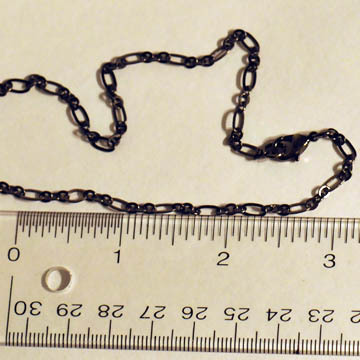 Description: A medium-sized tube on a fine antique brass chain. No writing on the tube other than the "6AG5" designation. 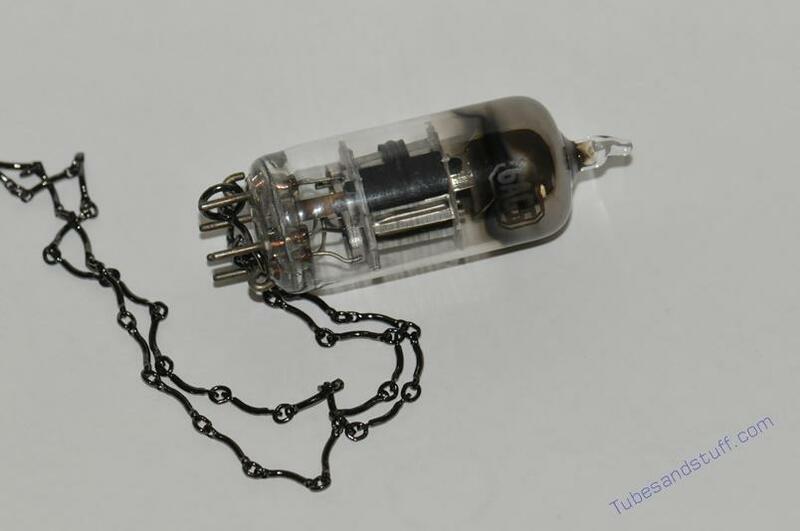 Description: An attractive medium-sized tube on a thin, shiny chain. No writing on the tube other than the "6AG5" designation. 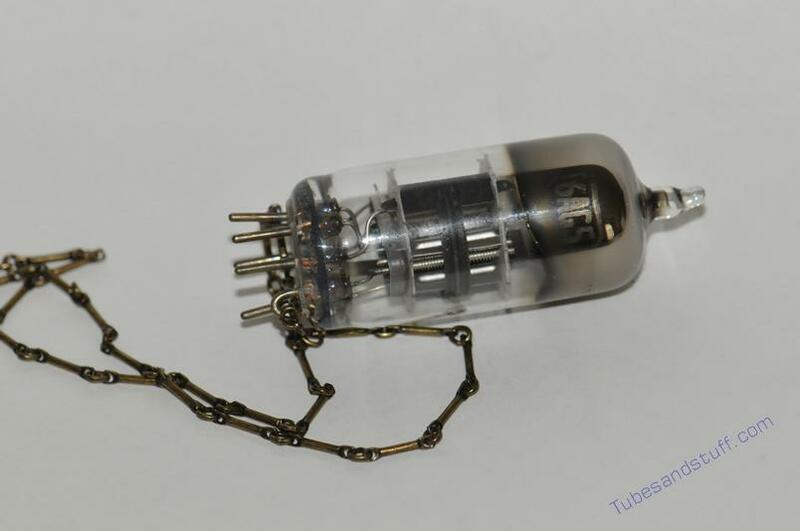 Description: A nice tube, but unfortunately there is a tiny chip in the glass at the base, so we are selling it at a discount. The interior is just slightly foggy, probably due to leakage of air from the chip. 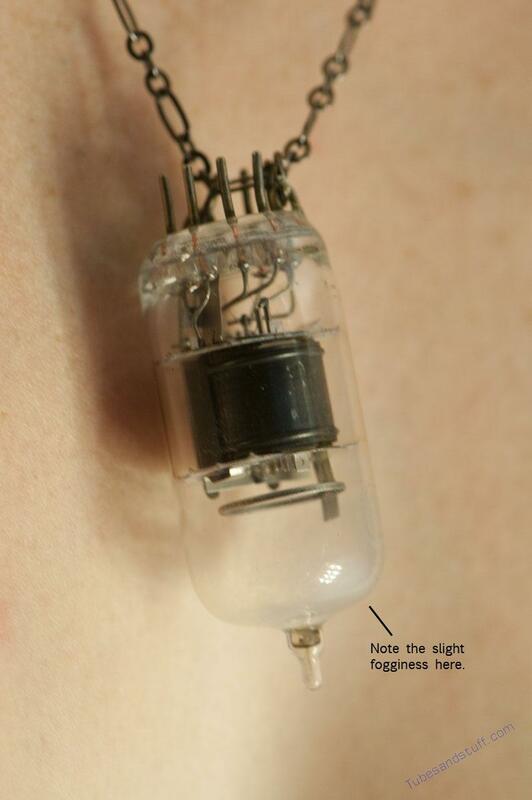 It is a thick, medium-sized tube. 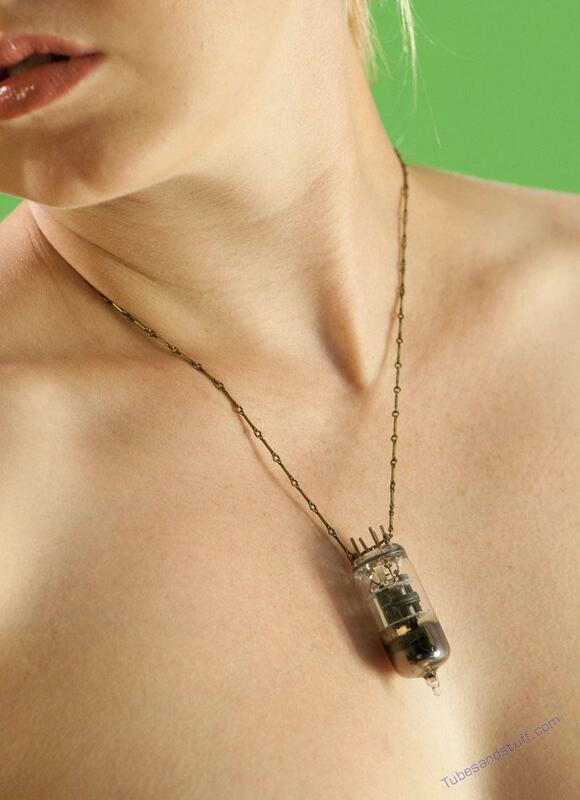 This piece is being sold as-is, no returns.